Pantothenate kinase-associated neurodegeneration (PKAN) is a rare neurologic disease that affects both children and adults. People with PKAN lack a chemical necessary to metabolize a vitamin in the brain. To learn more and donate to the cure click HERE. Dr. Hayflick's team to help find a cure for P.K.A.N. Amelia Rose Cragen was diagnosed with PKAN on May 19th, 2015. Amelia started showing signs of developmental delay around age 1 when she wasn't meeting normal milestones. She has been in Speech Therapy since she was 2 years old, she is also receiving Physical Therapy weekly at Riley Hospital. 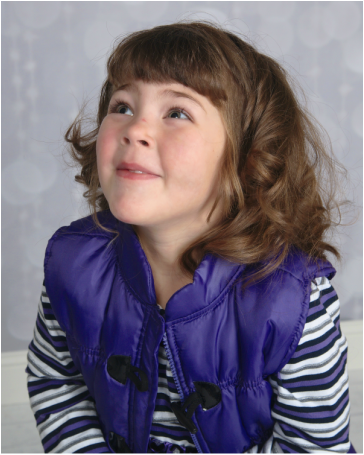 Amelia was diagnosed after a trip to Riley Hospital's Emergency Room. A head CT was ordered after she injured her head and had a mild concussion in the fall of 2014. The CT showed calcium deposits of her brain and was followed by an MRI a few months later. The MRI was able to include more detail which showed the iron accumulation on her brain. Genetic testing confirmed the diagnosis; PKAN. Amelia is a very loving, happy 4 year old. John Deere Gator and is very passionate about animals. Amelia adores babies and has a heart of gold. She can easily put a smile on anyone's face.